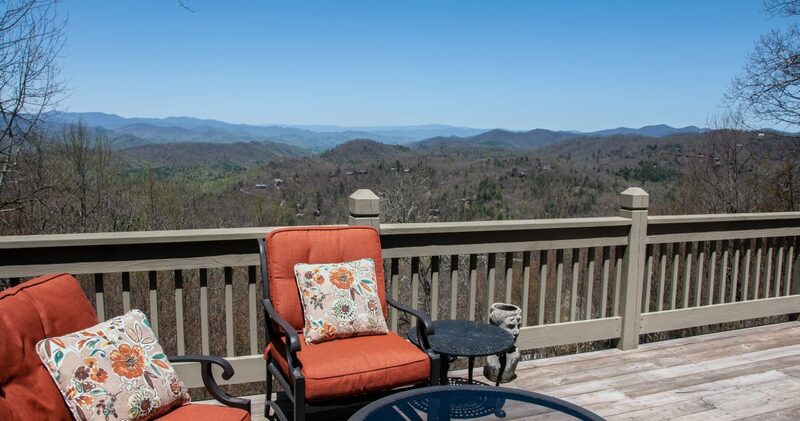 Long-range mountain views reach as far as the eye can see, here’s your opportunity to live life above cloud nine! 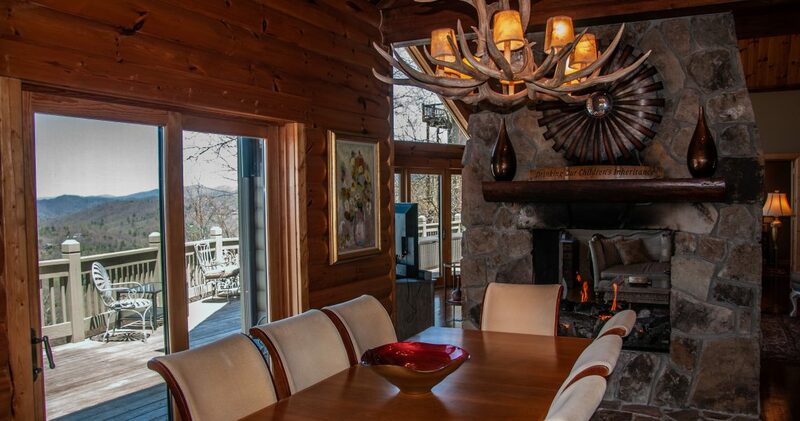 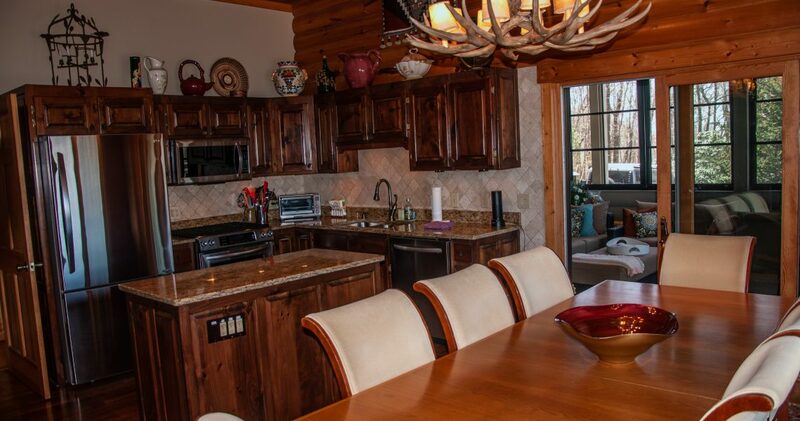 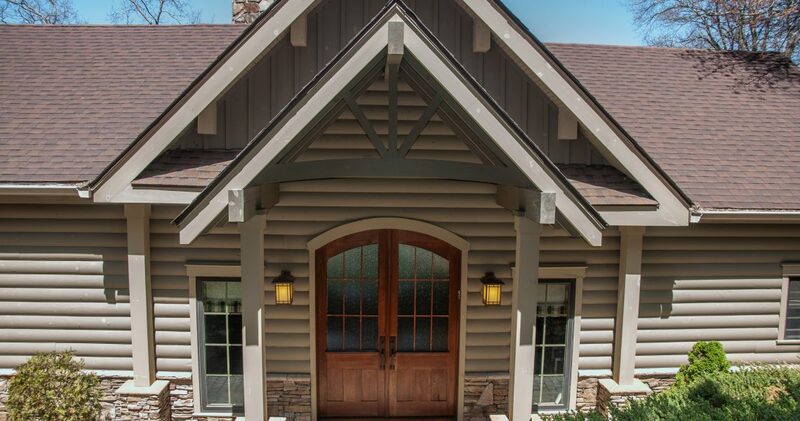 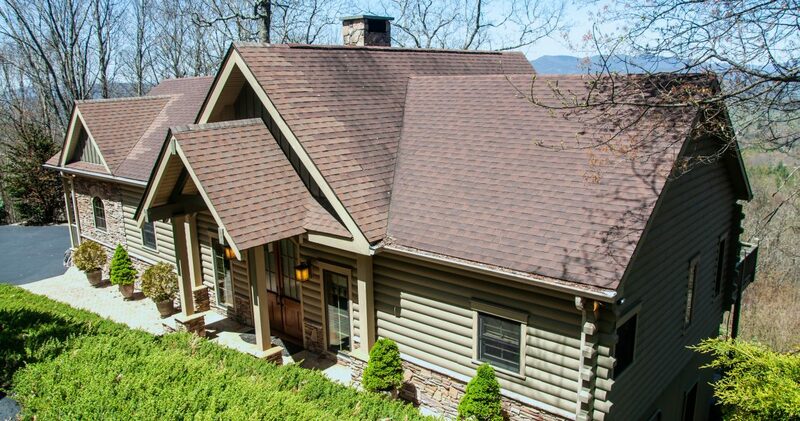 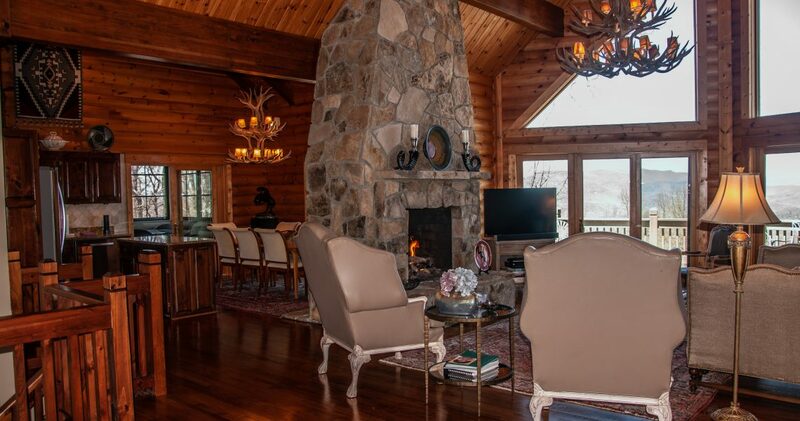 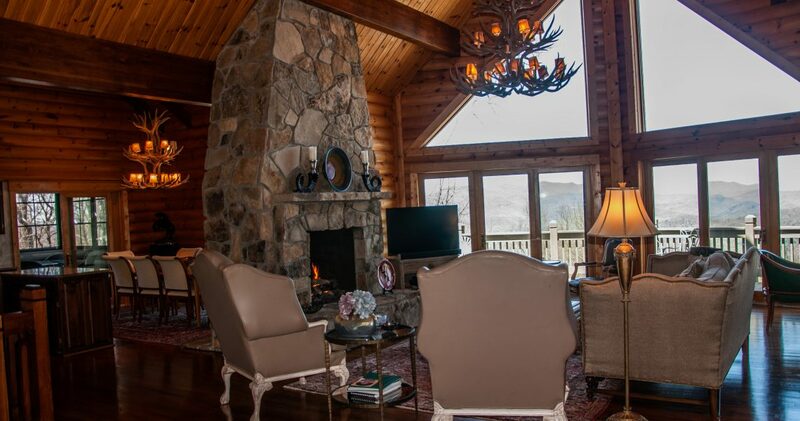 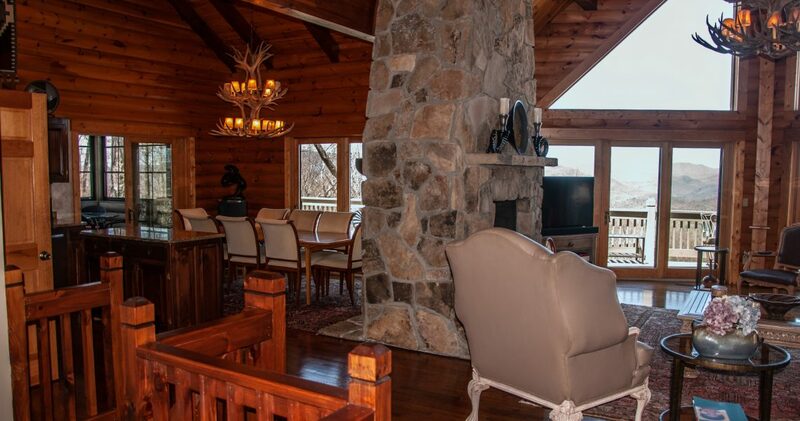 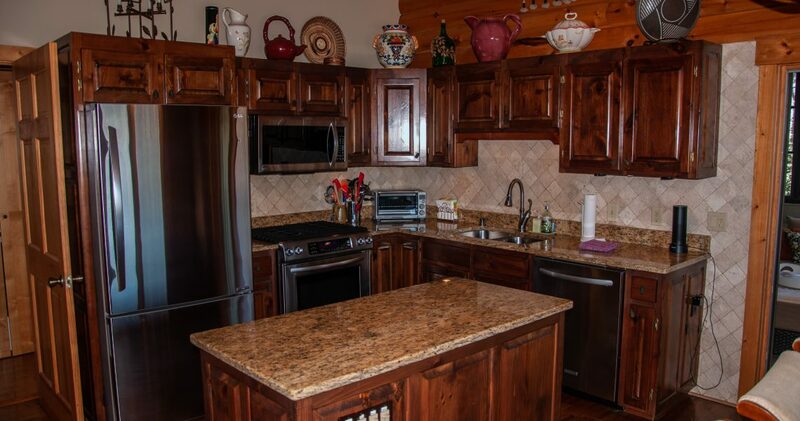 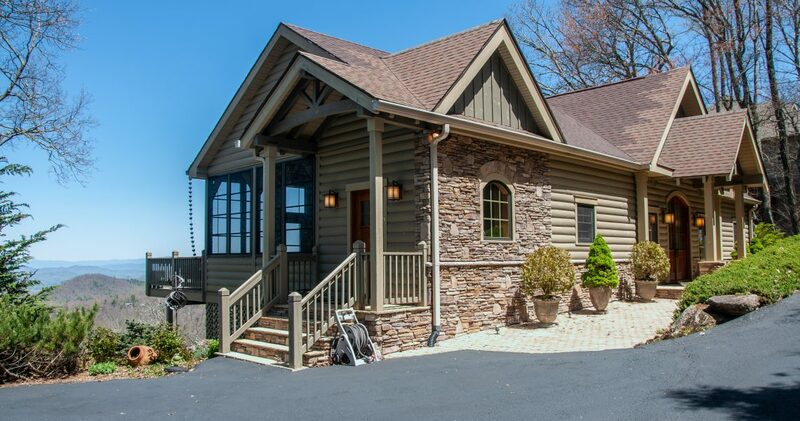 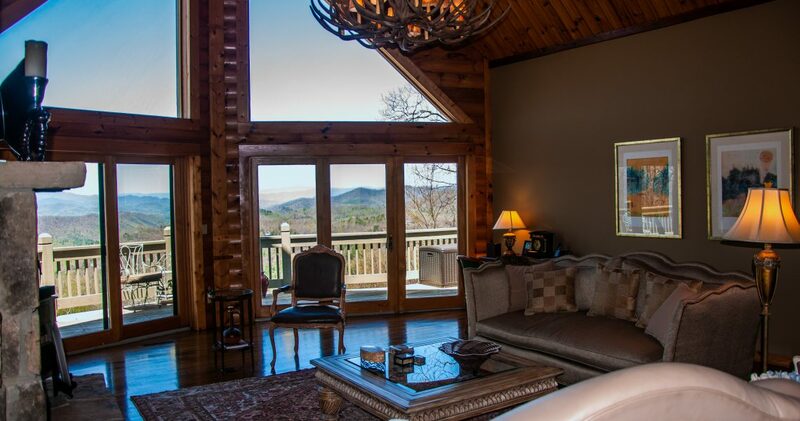 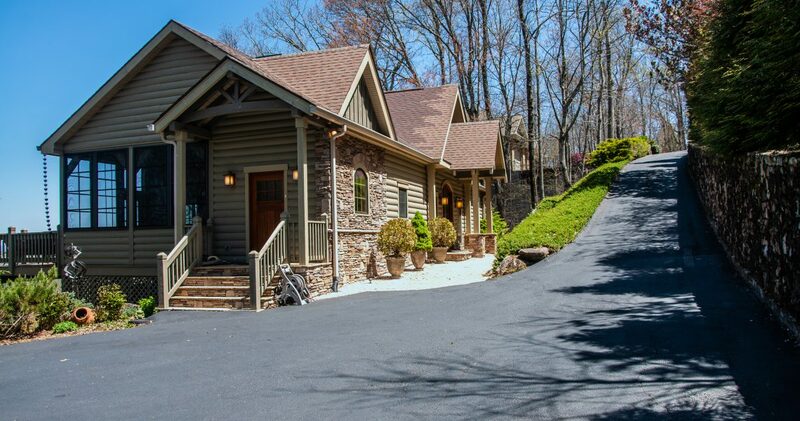 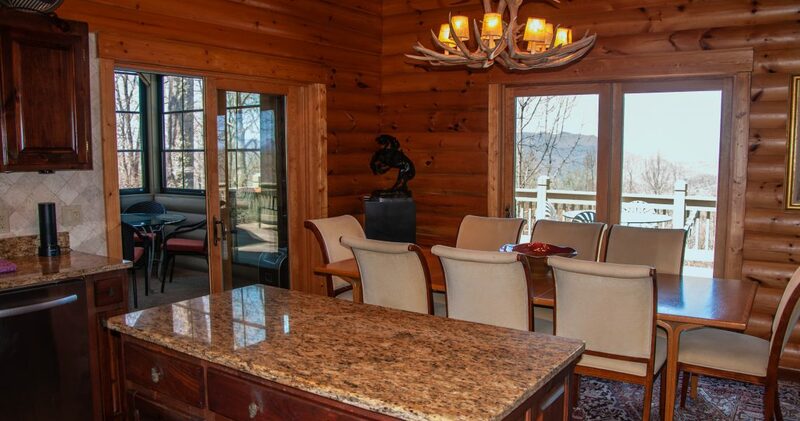 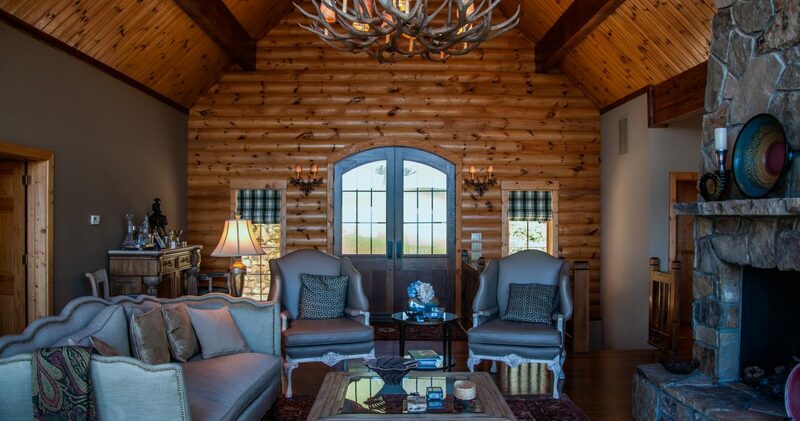 This magnificent custom log style home is located atop Alex mountain in beautiful Sky Valley, the highest and coolest city in Georgia. 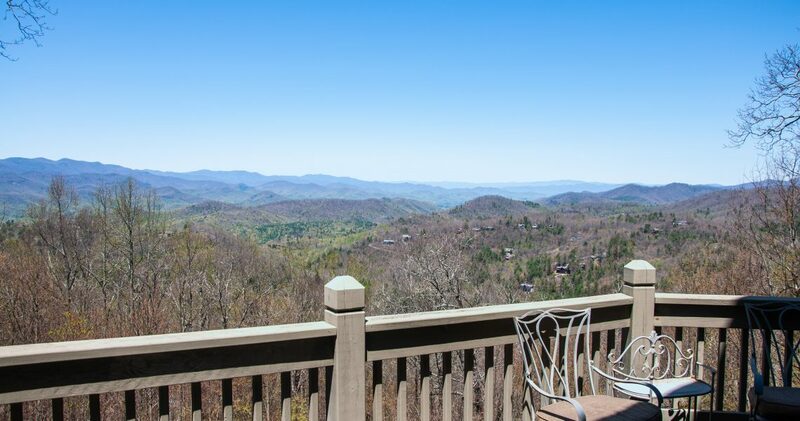 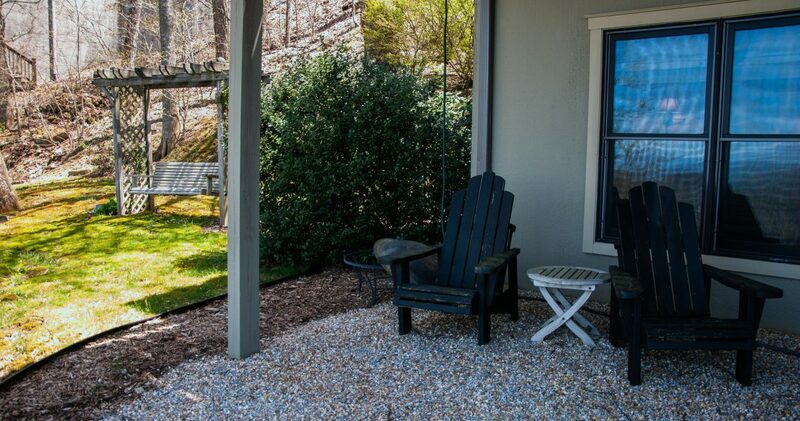 Only minutes from Highlands, N.C. 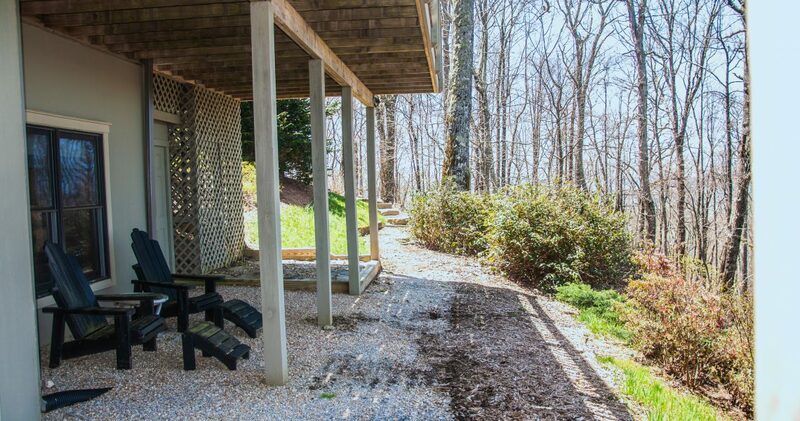 The main level enjoys spacious living with indoor/outdoor entertaining, see through fireplace, dining room with master on main. 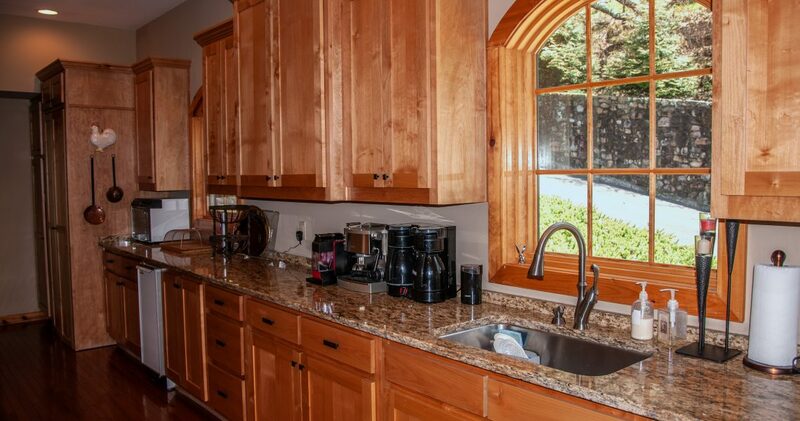 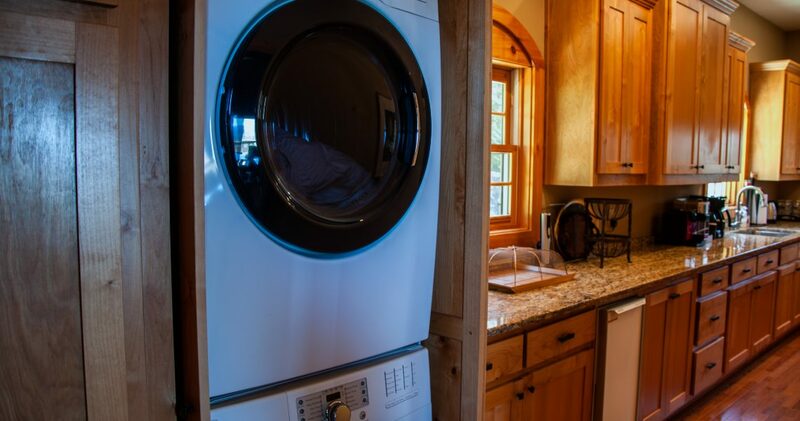 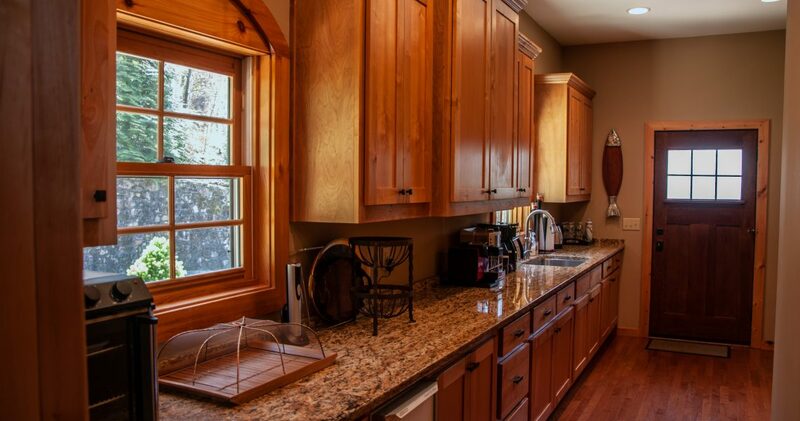 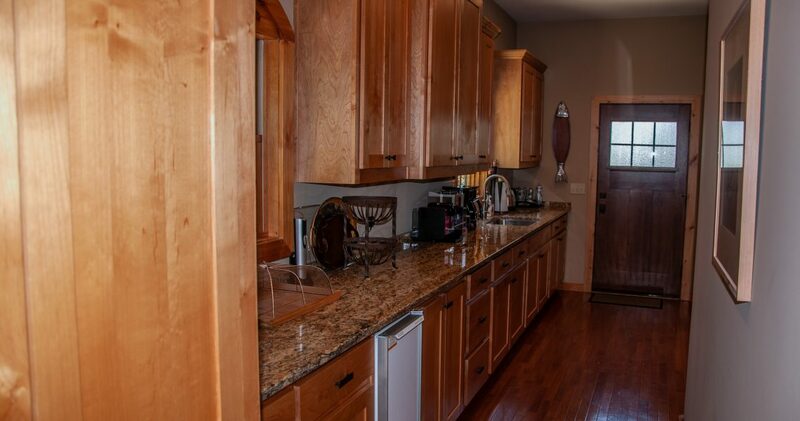 Custom kitchen with granite countertops, gas range, stainless-steel appliances, and a butler’s pantry with lots of counter space, sink, and built-in ice maker, makes entertaining a pleasure. 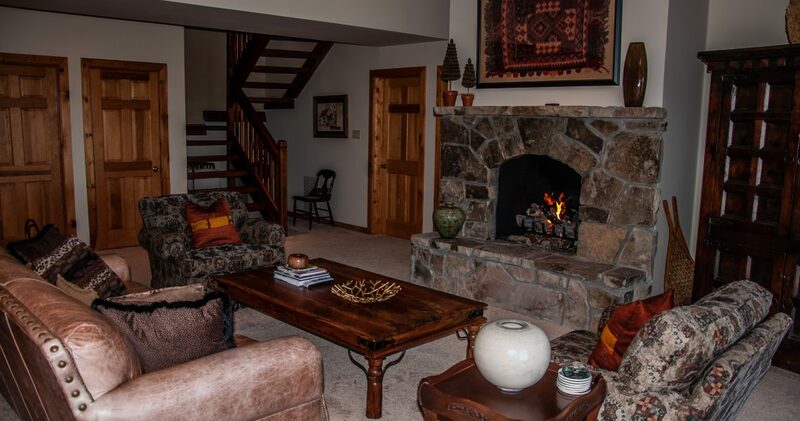 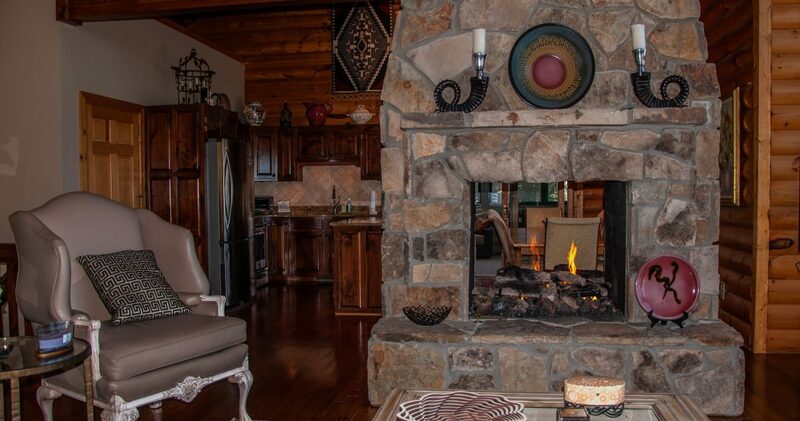 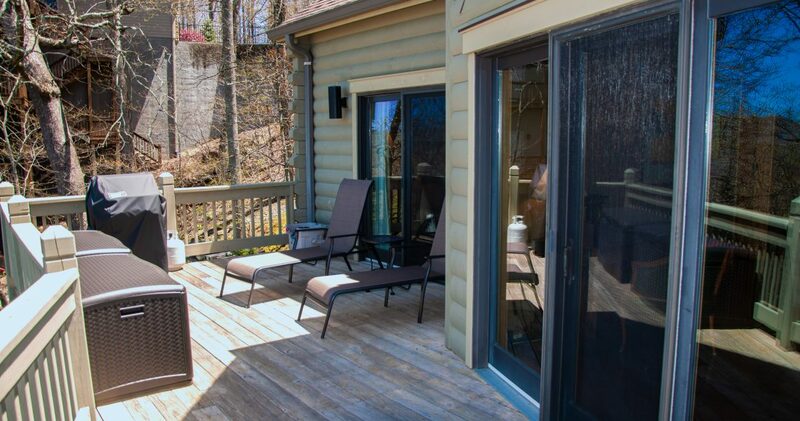 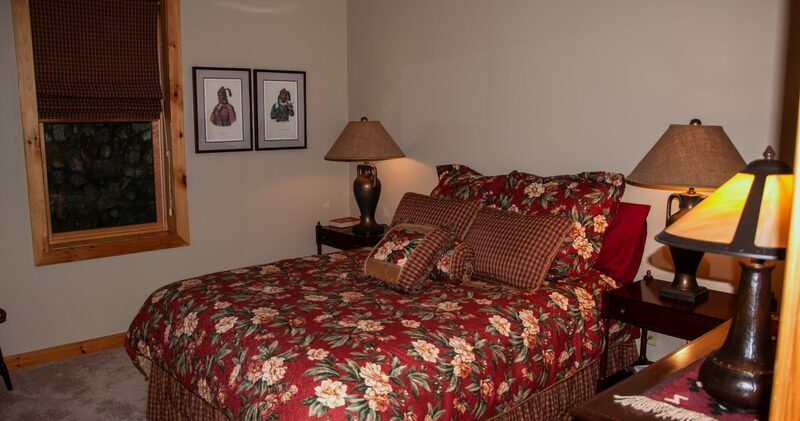 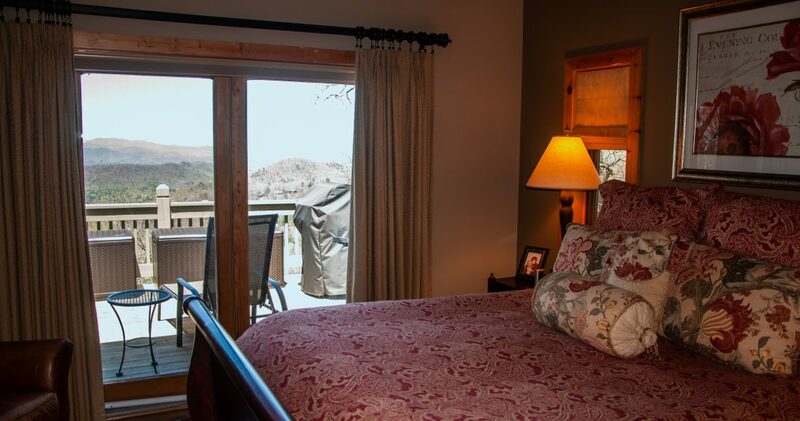 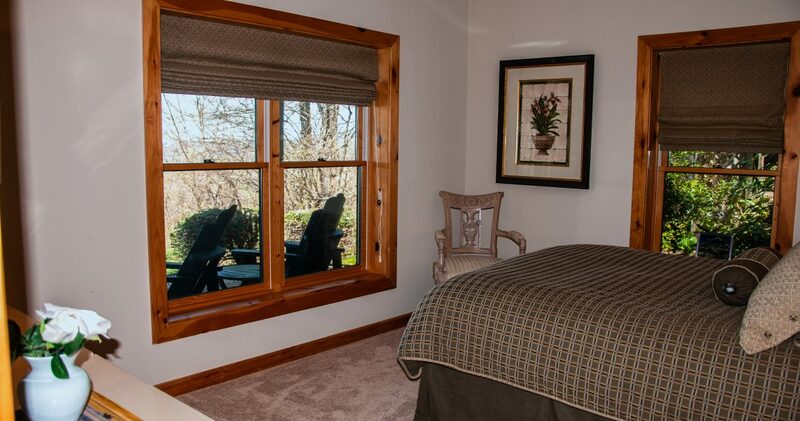 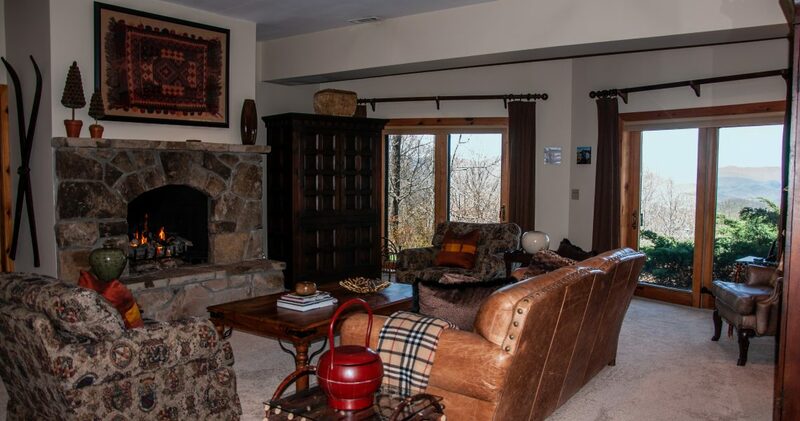 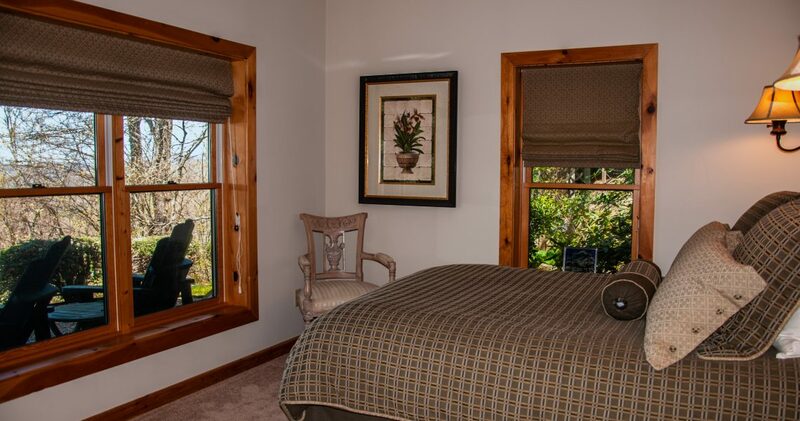 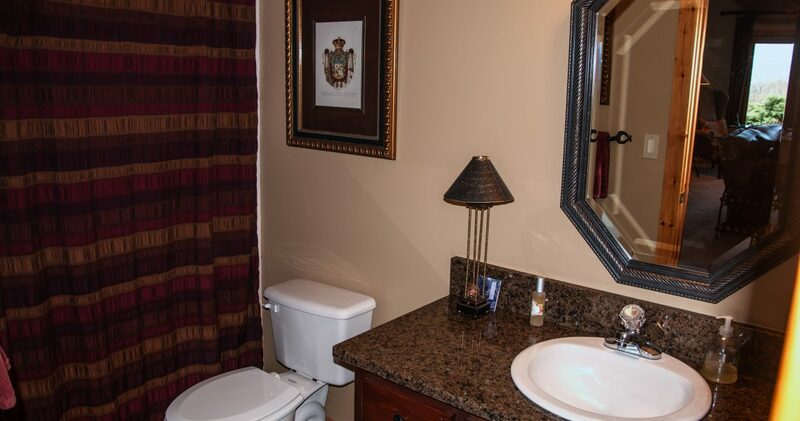 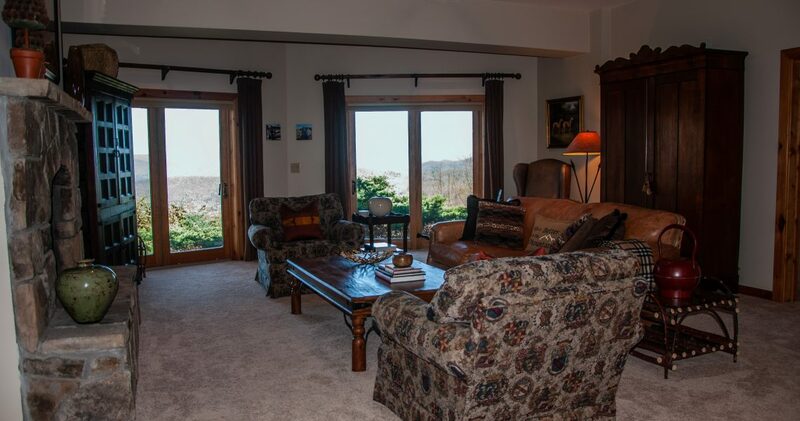 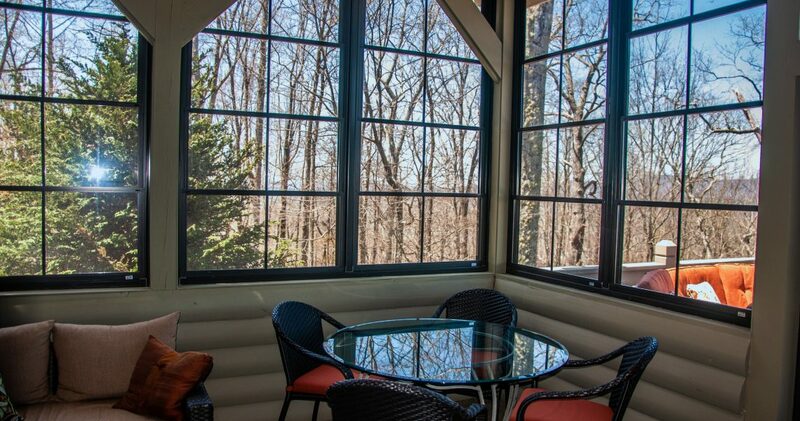 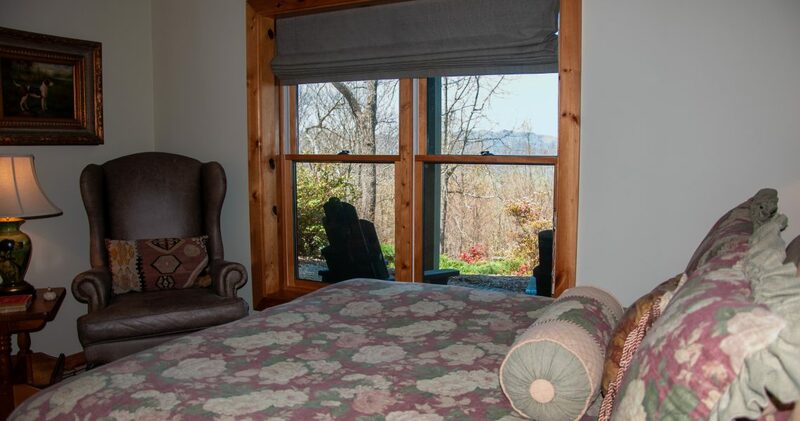 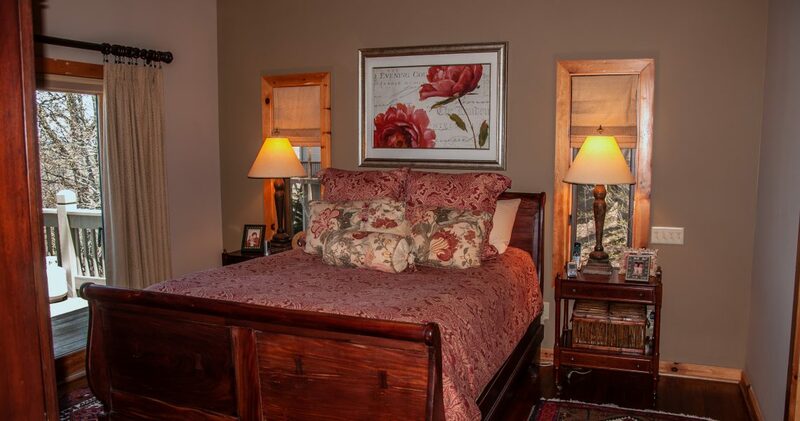 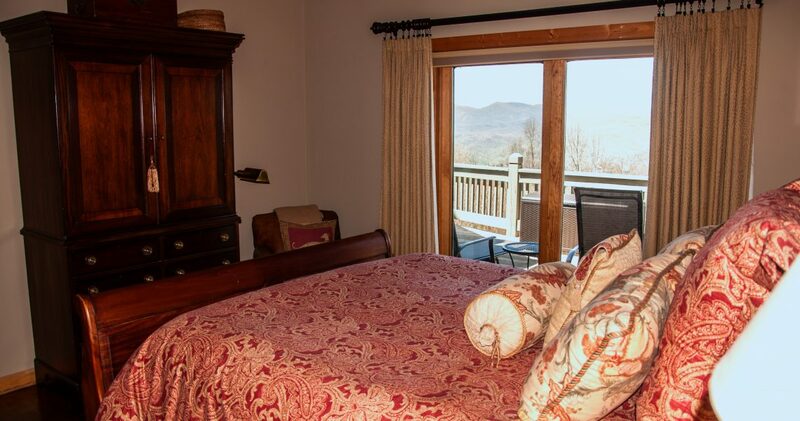 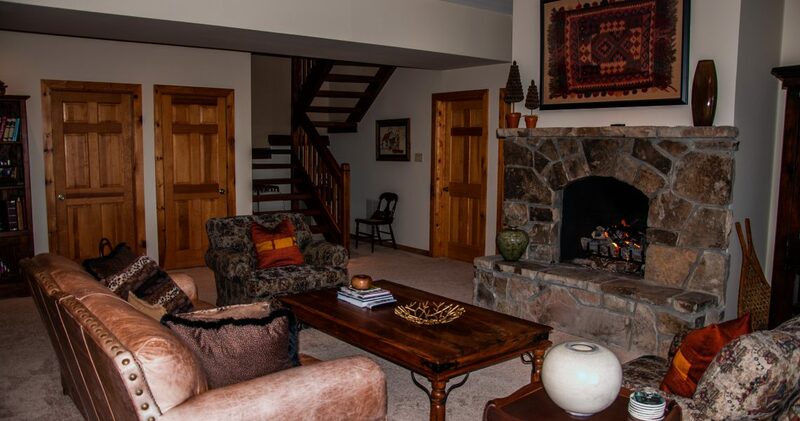 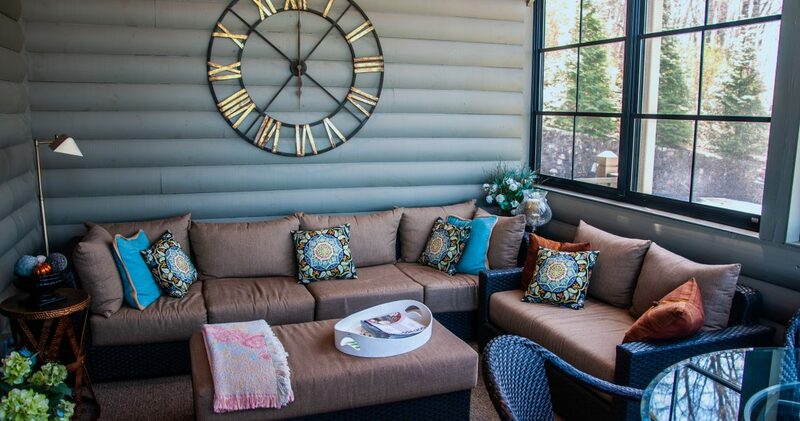 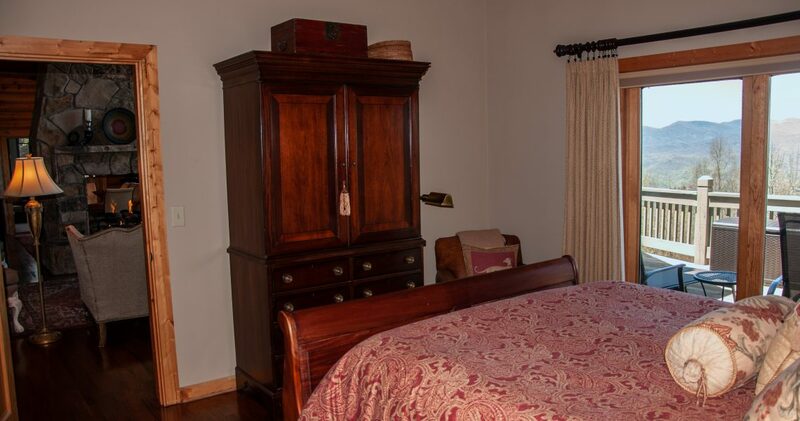 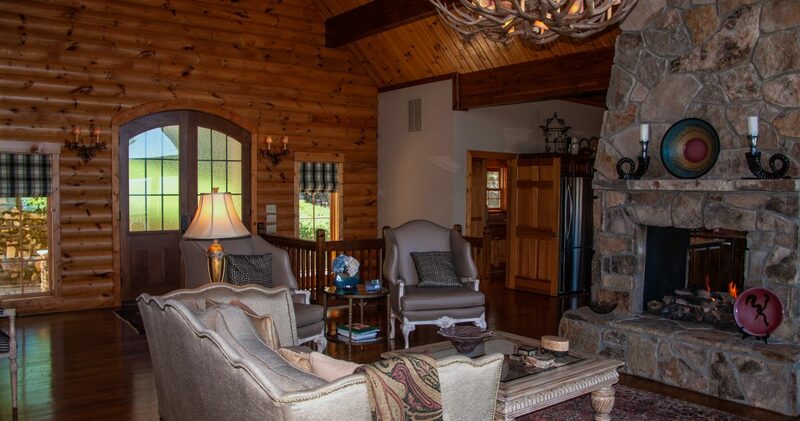 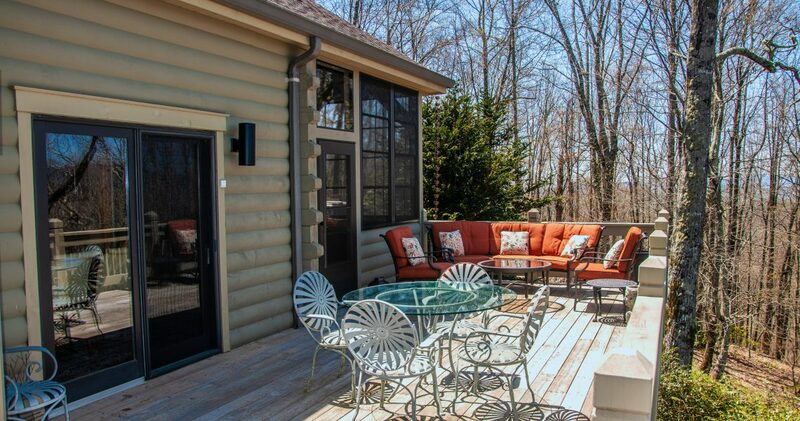 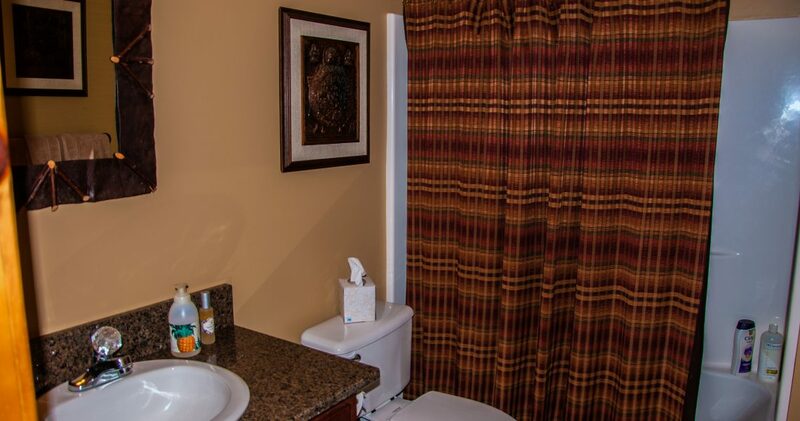 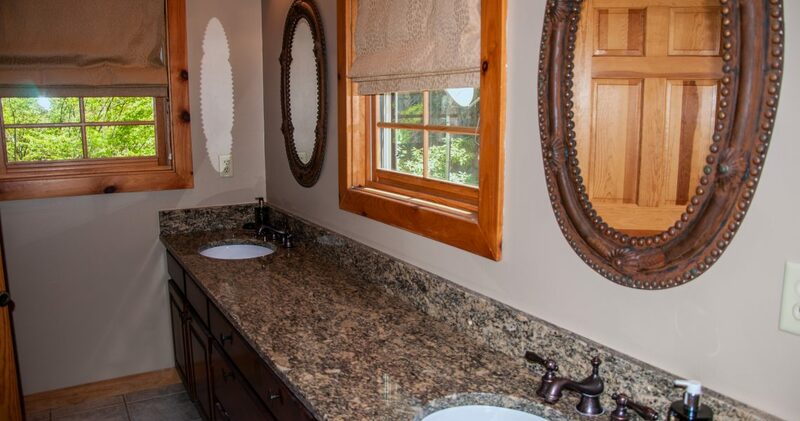 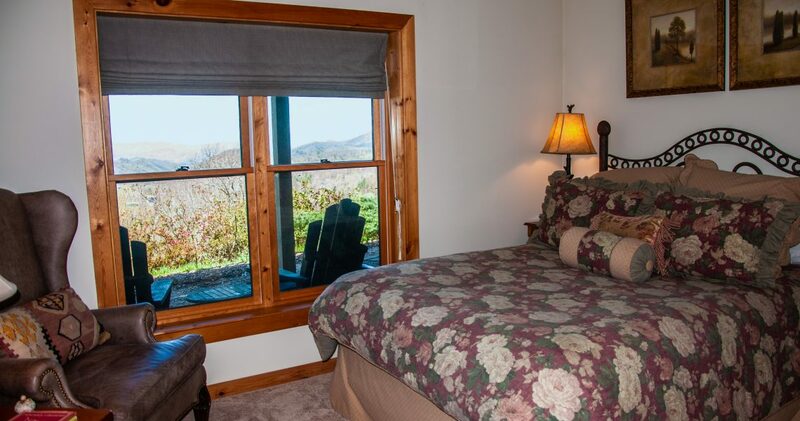 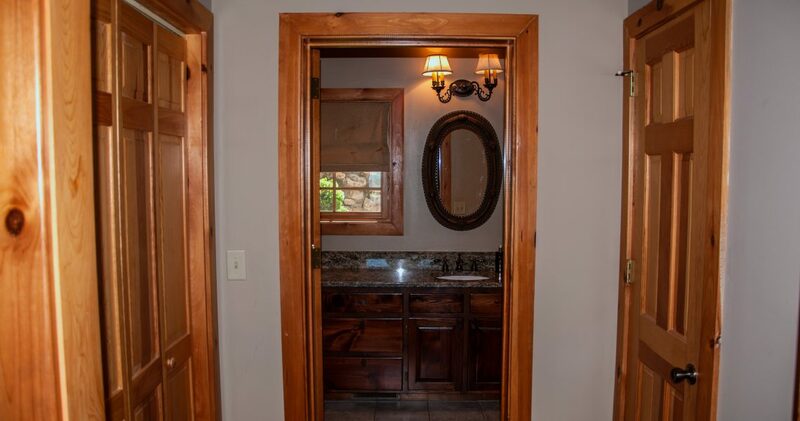 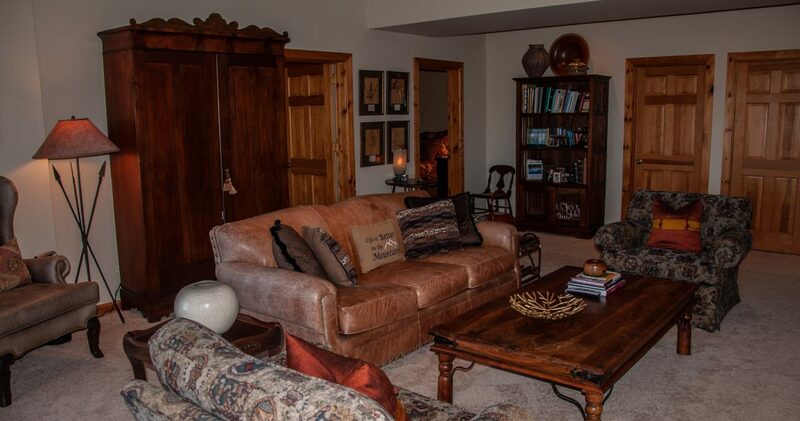 The lower level features a comfortable guest lounge with large fireplace, 3 guest rooms, and 3 baths. 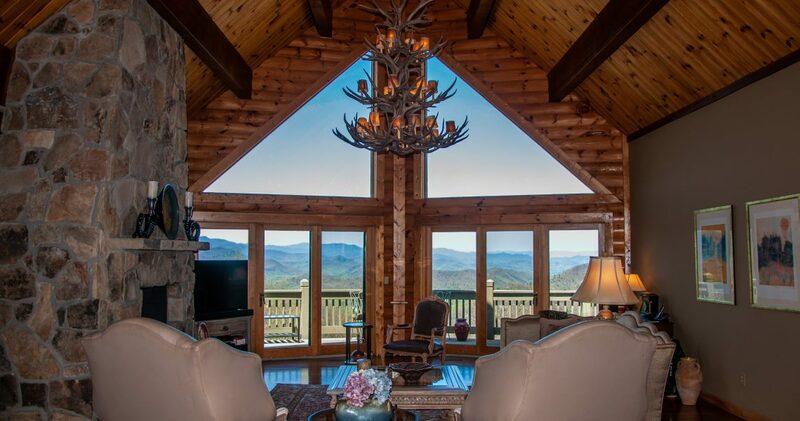 Elevation 3,800′ Offered fully furnished with few exceptions.